Do you love to play baseball? Do you know somebody who loves to play baseball? 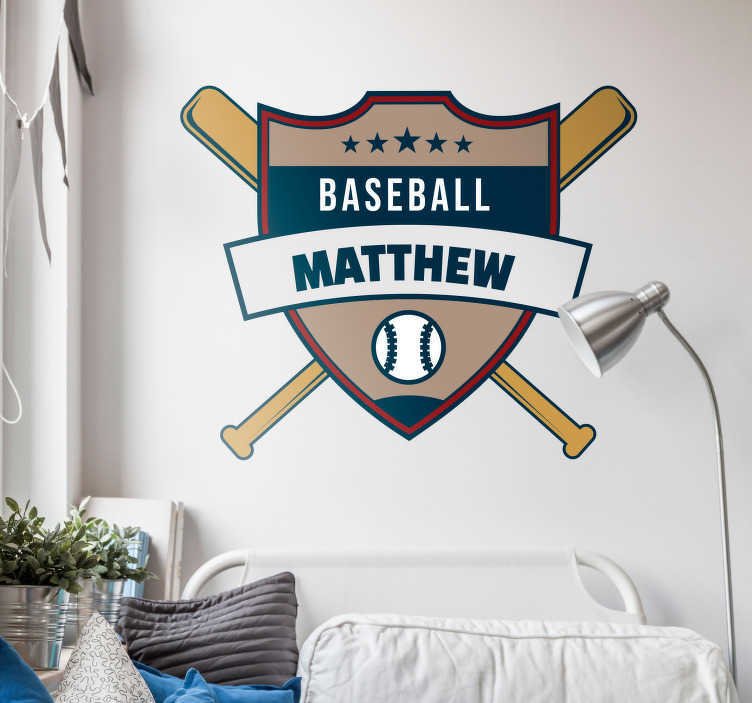 Either way, this customisable wall sticker might just be perfect for you, given the fact that it depicts a stylish baseball theme, with a customisable name underneath, so whether it be a first name, a last name or anything else you like, it will look great on this unique sports decal!